Students, no matter how studious they are, can sometimes forget important information especially on days where reviews for examinations and preparation for school activities are needed. 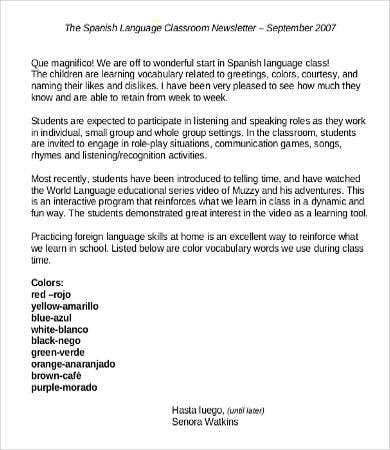 Teachers, on the other hand, also have a lot to do, including lesson plans, visual aids, and reports that they sometimes forget to remind their students about important matters and announcements. 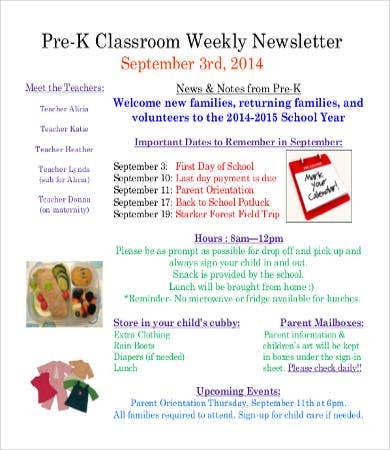 A classroom newsletter would be very beneficial for these kinds of matter. 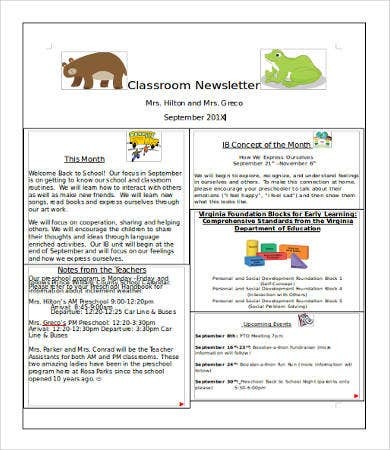 We have an available Newsletter Template that you may use should you want to create a classroom newsletter and other newsletters for different purposes. 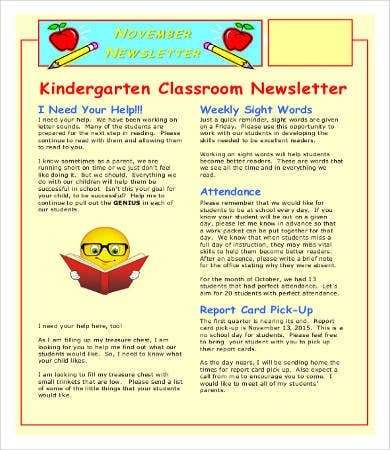 What Is a Classroom Newsletter? 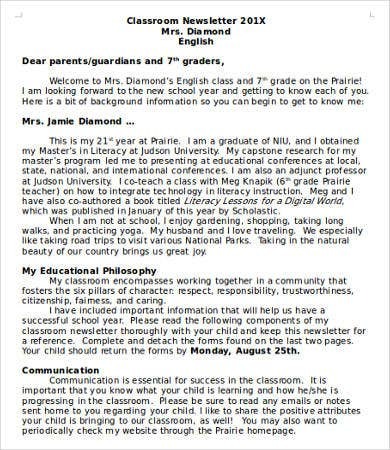 If you want to create a classroom newsletter to be used by your school, you may download our Classroom Newsletter Template and use it as a reference for formatting purposes. 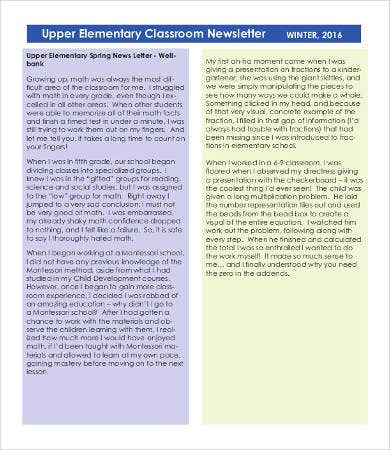 Also, our Teacher Newsletter Template is available for you to use. 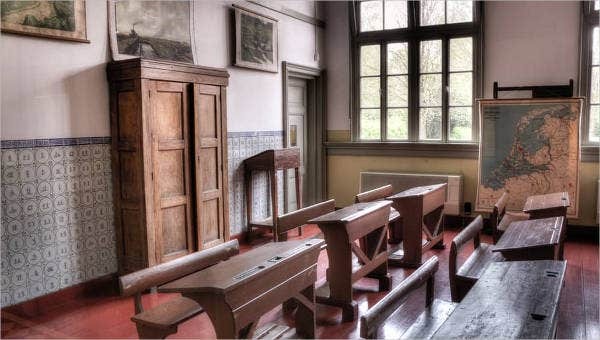 By regularly knowing what has been happening in your school, you will be able to prepare your school activities depending on how it will be affected by events and other happenings. You will be reminded of all the things that you need to know for a certain period of time. This will allow you to function well and use your time wisely. 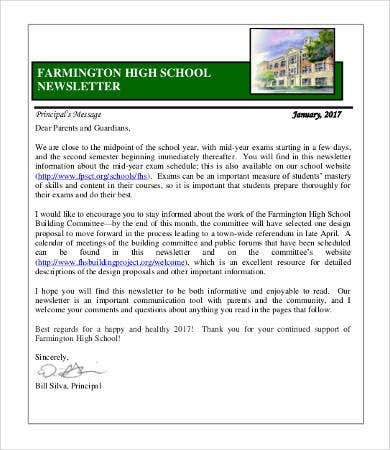 Knowledge on classroom newsletters will help you familiarize yourself even more with the policies that you need to follow on a daily basis. 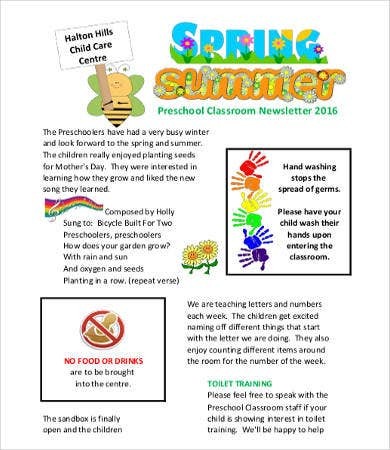 Knowing the events that the school will conduct allows you to choose a specific activity that you want to join it. This will help you to not miss any opportunity of using your skills and talents just because you lack information that such event is about to happen. You need to remind your parents about accurate information that they need to know and remember. Giving them wrong dates and information can waste a lot of their time and efforts. 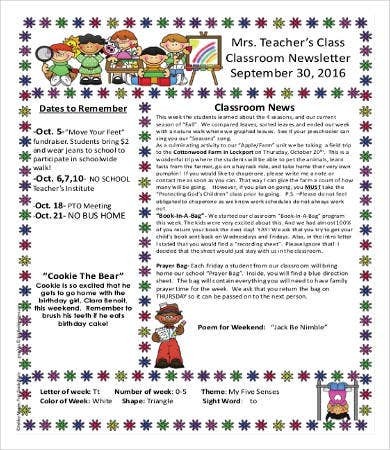 If you wish you ti use a newsletter that has a broader scope to a classroom newsletter, you may use our School Newsletter Template for your reference.